Something that we’ve been very happy to embrace since moving to the South West is a cream tea – even if the ‘jam or cream first’ debate does cause tension! However, if those scones and cream happen to be accompanied by a full afternoon tea then we usually just simmer down and tuck in. Make that a kids afternoon tea and you’ll not hear a pip from us! 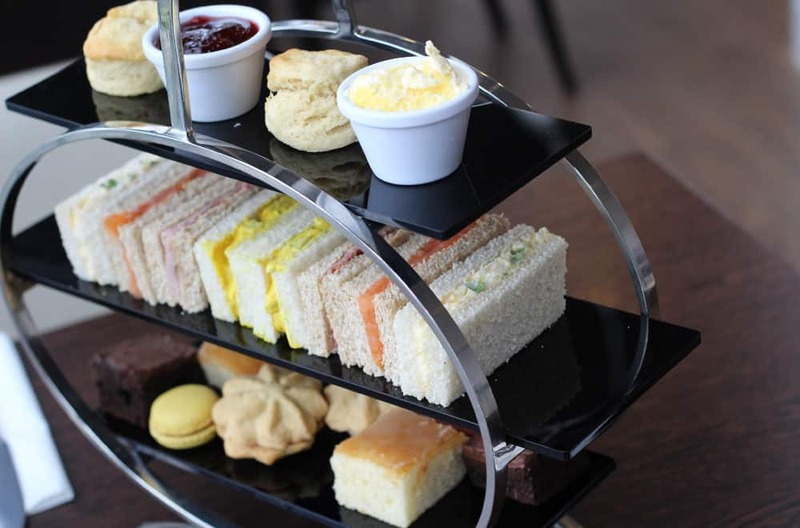 One of our favourite places to stay and eat in Cornwall, the China Fleet Country Club at Saltash, has just introduced Afternoon Teas for the whole family to their menu – perfect! Adults can choose from a traditional Afternoon Tea or treat themselves to a decedent G&Tea or Prosecco & Tea. Meanwhile there’s even a kids afternoon tea for the children to tuck into. This would be the perfect addition to a short break at the Country Club, like we did last year, or a special treat during a family day out in Cornwall. Find out more about family-friendly dining at China Fleet Club. The traditional Afternoon Tea for adults includes delicate sandwiches, homemade cakes and scones with delicious jam and Cornish clotted cream, plus a pot of tea or cup of coffee. Indulge your love of gin with a Fever-Tree tonic, delicate sandwiches, home-made cakes and scones with jam and Cornish clotted cream, served alongside a warming pot of tea or cup of coffee. Feel the fizz with a glass of Prosecco (white, rose or skinny), delicate sandwiches, China Fleet Country Club’s home-made cakes and scones, plus jam and Cornish clotted cream, served alongside a warming pot of tea or cup of coffee. Treat your little one to a glass of cordial or a babyccino, a selection of finger sandwiches with ham, cheese and jam filling, chocolate brownies, and jelly and ice cream. *Available for children aged 12 years and under. 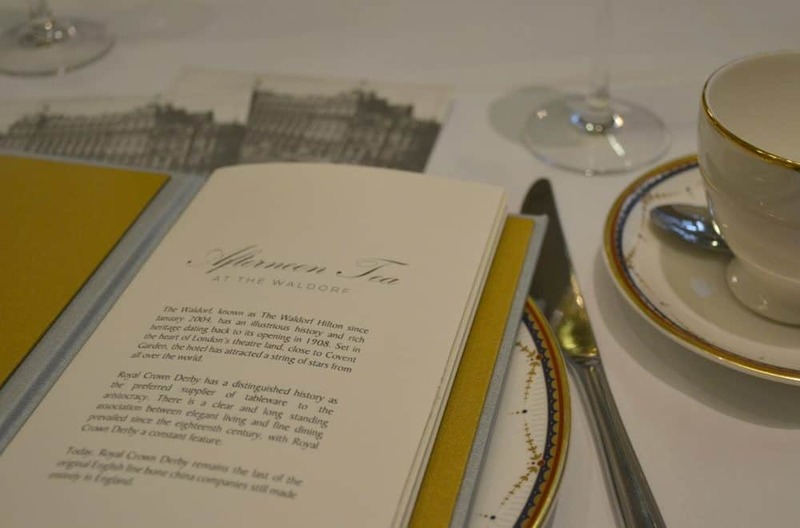 Afternoon Tea is served daily between 12pm-5.30pm. What a treat! If you’re looking for a kids afternoon tea in Cornwall with the added benefit of a swimming pool, spa for the adults and family-friendly accommodation, then you can’t go wrong at China Fleet Country Club. If you’d like the chance to win afternoon tea with your family worth £42.90 then enter China Fleet Country Club’s giveaway HERE. The prize is Afternoon Tea for two adults plus the kids afternoon tea for two children under the age of 12. The giveaway closes on 31 December 2018. Please read the T&Cs below. Disclosure: China Fleet Country Club asked us to promote this giveaway. We have not received any compensation for running the giveaway but have worked with them in the past. We genuinely enjoy visiting the Club and have booked and paid for our own meals and stays there as well as doing an unpaid review. If you’re visiting Cornwall or looking for a special treat for your family then why not pin this to remind you were to go for kids afternoon teas?! Afternoon Tea is served daily between 12:00pm and 5:30pm – Pre booking 24 hours prior by calling 01752 848668 option 7 is essential. The winner will be chosen at random and will be notified as soon as possible after the draw. The winner will be contacted by e-mail or social media messenger. If they do not reply within seven days another winner will be chosen.